Hi all, last Wednesday we kicked off the first session of R Open Lab in the DSSC( based in Lehman Library). We started with basic syntax and briefly discussed how to explore the features of our datasets. 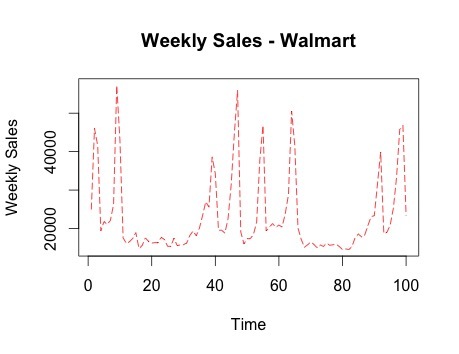 We used data from Wal-Mart and we will continue exploring this dataset for the next few sessions. Beginners are welcome to join! See you this Wednesday 10/12/2016 at 10:00 AM! 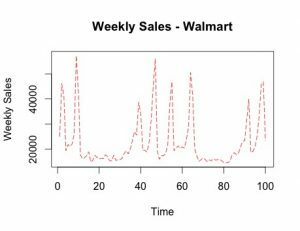 This entry was posted in Open Lab, Statistics & Data, workshops, Workshops & Training and tagged R Open Lab on October 10, 2016 by Yue Jin. With a successful collaboration between DSSC and ESRI, a hands-on workshop on ESRI R plugin was presented by Shaun Walbridge, a senior developer from ESRI, on Wednesday, April 20. 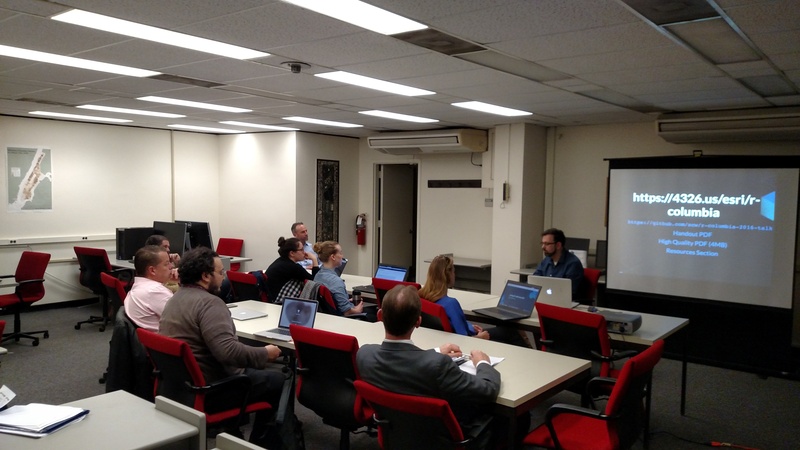 Shaun provided an in-depth tutorial on how to use R in ESRI, and answered questions from students and librarians. Our audiences were from a broad background: librarians from Columbia and other institutions in NYC, PhD students, Master’s students, people from administrations, etc. Store your data in ArcGIS, access it quickly in R, return R objects back to ArcGIS native data types (e.g. geodatabase feature classes). Knows how to convert spatial data to sp objects. This entry was posted in workshops, Workshops & Training and tagged arcgis, esri, gis, R on April 21, 2016 by Chubing Tripepi. Last week, Professor Ben Goodrich stopped by R Open Labs to show us how to use the mi package, which he worked on with Professor Andrew Gelman. 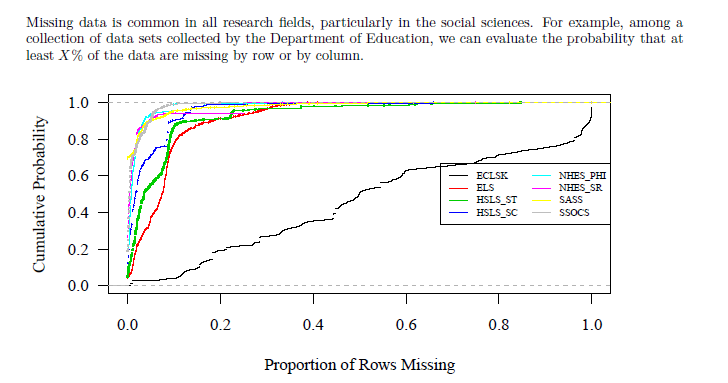 As the name ‘mi’ suggests, this package does multiple imputations to help you predict missing values in your data sets. Check out the demo if you’d like to give the mi package a try! R Open Labs continues every Weds, 10 am -12pm, through April 20th. Drop in anytime! This entry was posted in Open Lab, Uncategorized, workshops and tagged R Open Lab on March 29, 2016 by Julia Marden.